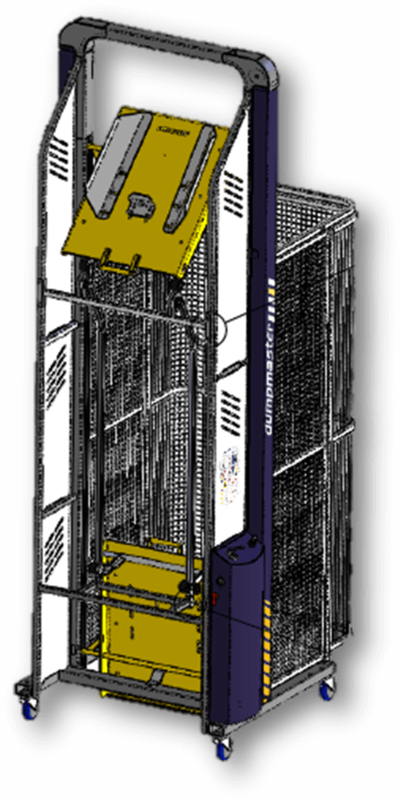 How to change the tipping height on an adjustable model of the Simpro Dumpmaster bin lifter. An optional feature built into some Dumpmasters is the ability to adjust the tipping height of the machine. 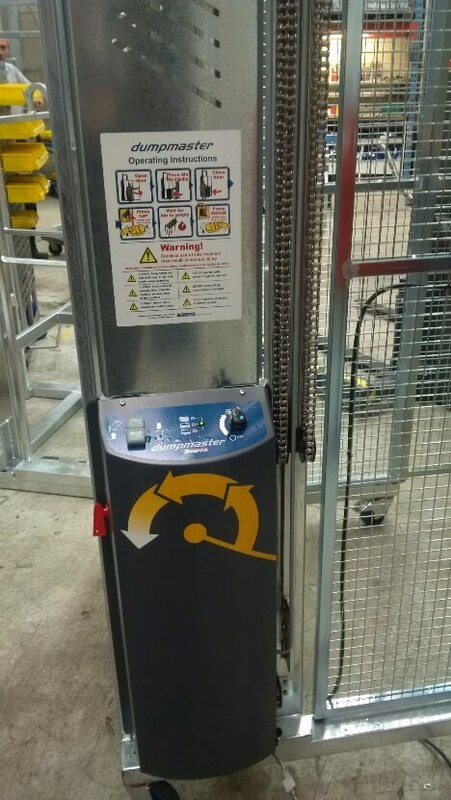 This feature can be requested from the factory at the time of order, and is popular in the waste industry as it means machines can be adapted for different situations as equipment leases roll over etc. Release the bolt at the bottom of the track to allow the track guide to be moved up or down to the desired location. 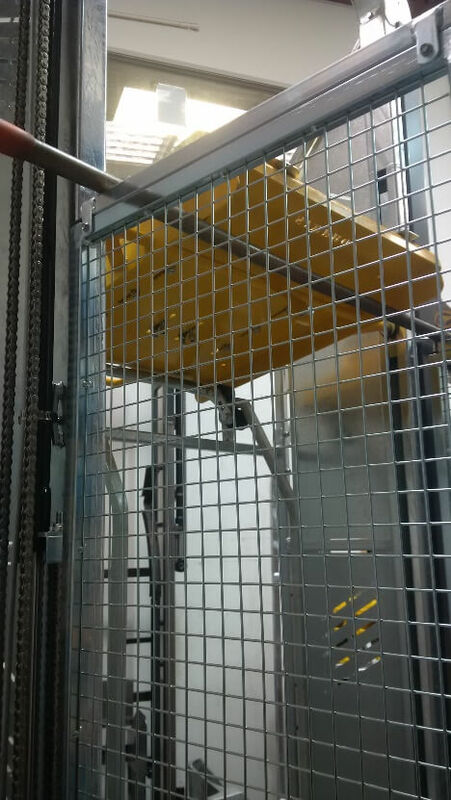 Move the cradle to the 'Raised' position and secure in place using a length of steel or similar. Always ensure the cradle is properly supported and cannot fall. 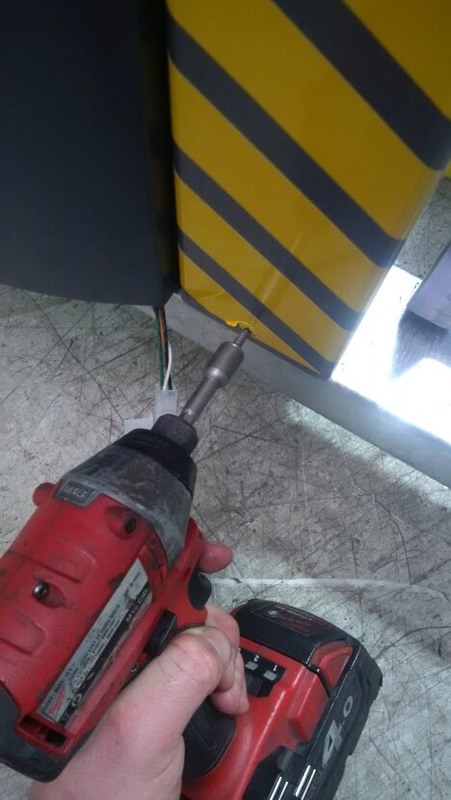 Remove the ram cover using an electric drill. 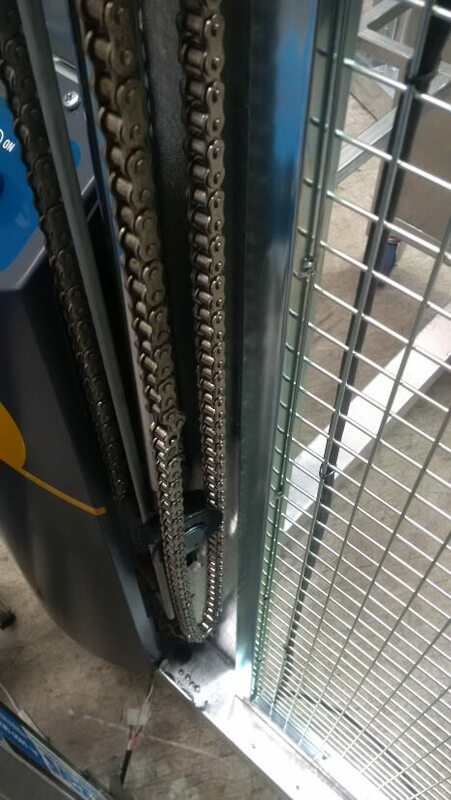 With the ram cover removed, you will be able to see the lifting chains. 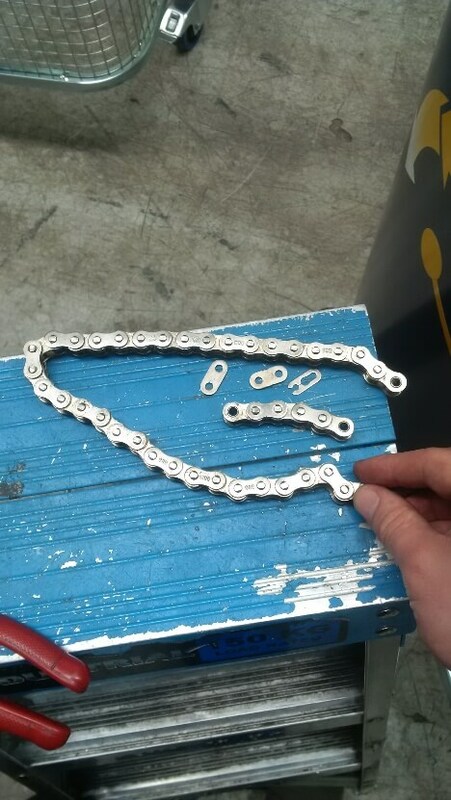 Using pliers, carefully remove the two chain-break clips as shown here. Press the 'Lower' button for a brief time to loosen the lifting chain, and press the ram spear upwards. 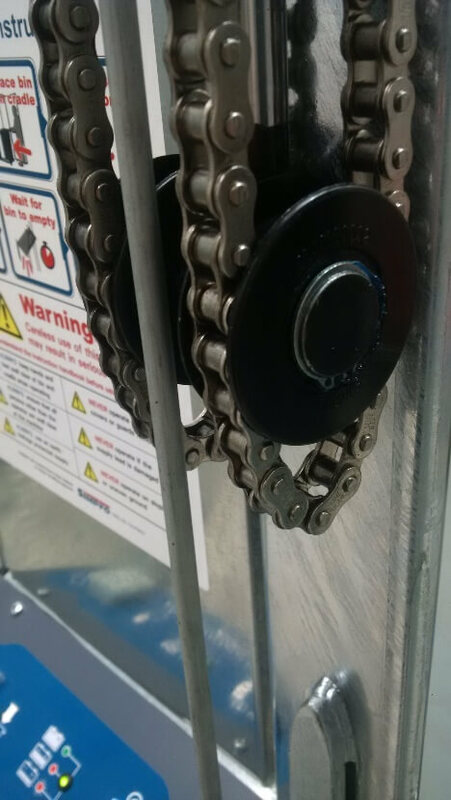 Remove the short section of chain between the two chain-link clips. This is called the 'link section'. 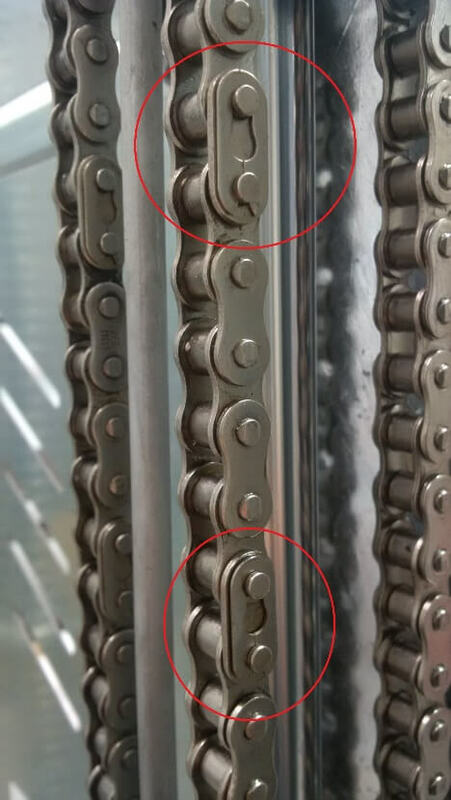 The chain length is modified by replacing or changing this section. 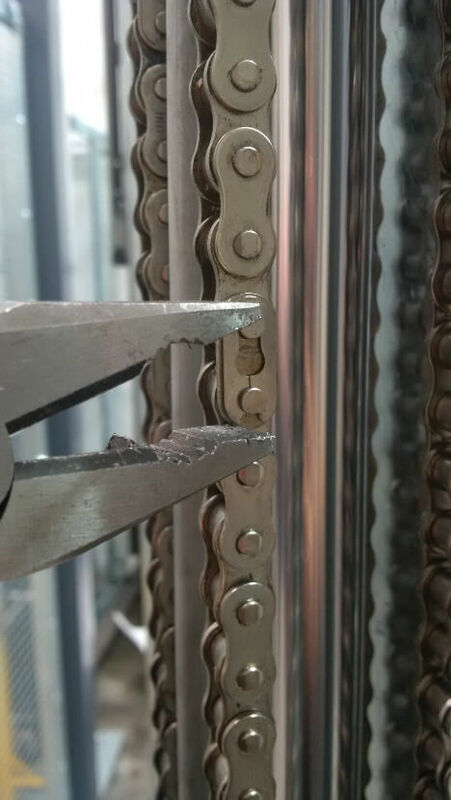 Now you need to prepare a new chain ‘link section' to insert. 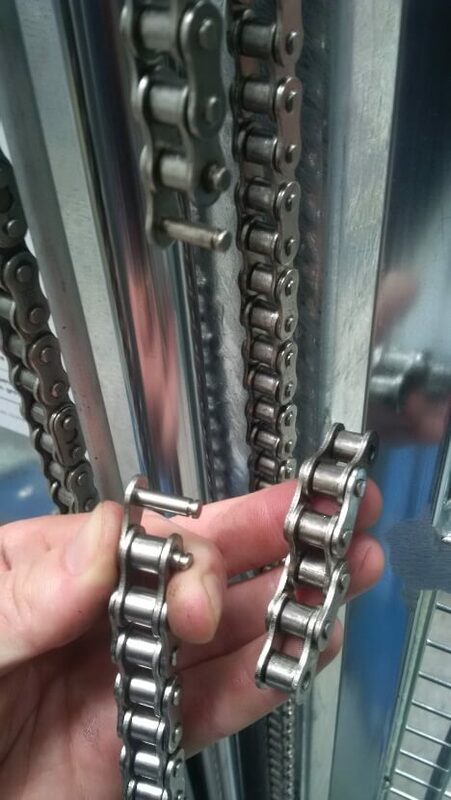 For every 300mm removed from the Dumpmaster tipping height, the chain ‘link section’ must be lengthened by 300mm.For instance, if the ‘link section’ is 125mm long and you are reducing the tip height from 1800mm to 1500mm, you must increase the length of the ‘link section’ to 425mm. 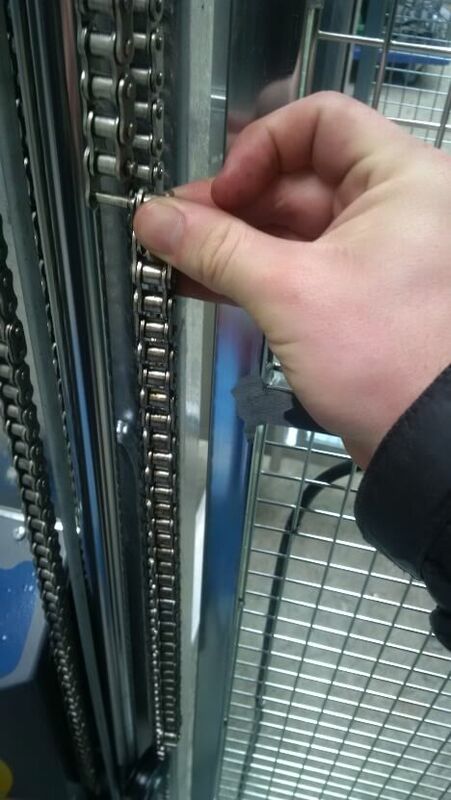 Now replace the 'link section' and reattach the chain-link clips. Repeat all of these steps for the second chain, on the other side of the Dumpmaster. Before replacing the ram covers, test-run the machine to ensure that everything works correctly. 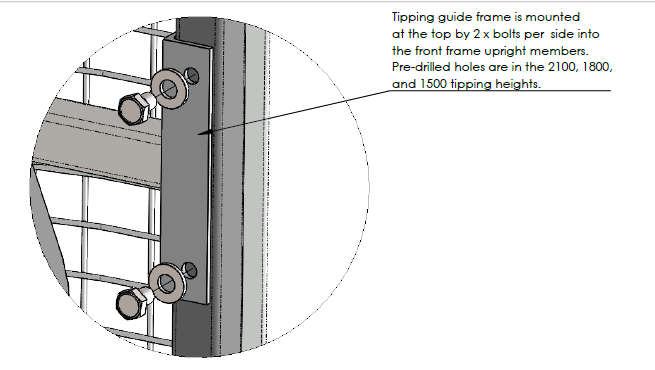 Ensure that the ram stalls out on the ram stop at the correct stage of the tipping cycle. Replace the ram covers using an electric drill. The Dumpmaster may now be returned to service.